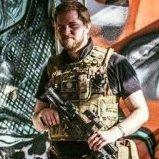 Being quite new to airsofting myself I can not advise between these guns but it might help the more experienced forum members if you give a bit more detail. When you say `just starting out' do you really mean that or have you done a few skirmishes and got either clum membership or your UKARA registration? That will make a difference to what you can buy. Which sites do you use? At our local sites I have not seen anyone use a support weapon - mainly assult rifles and pistols (not even much in the way of sniper rifles). The type of games [played does not really justify support weapons. If you have studied everything and know exactly what you want then my apologies but a few more details could result in better advice. It's more the company you need to ask about that the guns they make, once you know the company are sound, you know you're safe to buy a gun made by them without having to worry about it having issues. That's not to say issues can't be easily resolved, but if you don't want to get bogged down with issues if you don't want to have to upgrade, then you'd be better off buying from a more reputable airsoft gun manufacturer. If you've got arms like a gorilla then go for an M60. If you're a more normal build then the M249 will suit better. I've tried to carry a team mate's M60 and it's quite a weight to lug around all day and really needs to be fired prone or resting on something. The M249 ain't no lightweight either, but you can shoulder fire it if need be. As for range, ammo, accuracy, etc., they're both airsoft guns, so there's really no difference apart from the size and weight and that the M249's can use an M4 mag as well as a box mag, whereas the M60 is box mag only. The other thing to look at is type. The M249 standard version with the fixed stock will take a larger battery than one with the para stock.